Neuropsychological deficits (NPD) are common in patients with aneurysmal subarachnoid haemorrhage (aSAH). NPD are one of the major limiting factors for patients with an otherwise acceptable prognosis for sustained quality of life. There are only a few studies reporting outcome after aSAH, which used a standardized neuropsychological test battery as a primary or secondary outcome measure. Aim of this study was to determine the current practice of reporting NPD following aSAH in clinical studies. A MEDLINE analysis was performed using the search term “subarachnoid haemorrhage outcome”. The latest 1,000 articles were screened. We recorded study design, number of patients, and the presence of neuropsychological outcome report. Additionally, the time of testing after aSAH, the neuropsychological tests administered, as well as the percentage of patients with NPD were analyzed. A total of 324 publications between 2009 and 2012 were selected for further review. Of those, 21 studies (6.5%) reported neuropsychological outcome, in 2,001 of 346,666 patients (0.6%). The assessment of NPD differed broadly using both subjective and objective cognitive evaluation, and a large variety of tests were used. Neuropsychological outcome is underreported, and there is great variety in assessment in currently published clinical articles on aSAH. Prospective randomized trials treating aSAH may benefit from implementing more comprehensive and standardized neuropsychological outcome measures. This approach might identify otherwise unnoticed treatment effects in future interventional studies of aSAH patients. 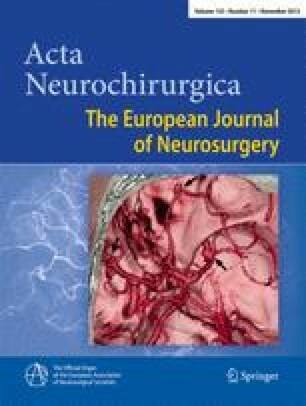 This is a well-written, thoughtfully constructed manuscript that will make a meaningful contribution to the literature and encourage cerebrovascular neurosurgeons and neurological critical care physicians who wish to improve outcomes in aneurysmal subarachnoid hemorrhage to incorporate neuropsychological testing into their routine post-operative rehabilitation regimens.